Sveiks! This older post has been updated for the 28th edition of the Carnival of Central and East European Genealogy, ... "War Stories." Hosted by Discovering Latvian Roots, I am bound to support Antra who has been immensely enlightening and helpful! Her blog and her projects are models for those of us separated from ancestors by distance and language. Comparing signatures to help identify ancestors is an interesting technique for family historians when faced with two or more ancestors bearing the same name. Obviously, one must have some existing documentation to enable such an evaluation. And even if a signature match looks good, it’s not strong enough evidence to stand alone, for sure. I’m requesting assistance (issuing a challenge?) for some sharp eyes and/or students of paleography. First, the background. George Porter was active in the town of York (later Toronto) and Newark (Niagara-on-the-Lake) between 1792 and 1799. He was the only George Porter around in those earliest days of Upper Canada (Ontario). He married, had four children, and disappeared without leaving any recorded trace of such events. What we do have are the numerous petitions he made to government authorities in order to acquire land in the developing province. And some bare-bones population lists for York. George was self-described as a former sergeant of militia and a carpenter. Unhappily for us, no-one recorded where the militia service occurred. Because he first appeared on the Niagara peninsula, a logical suspicion is that he crossed over from New York State. That leaves his prior origins open to several eastern U.S. states or even beyond. He never claimed to be a Loyalist which is “negative information” and helpful in its own way. The timing in 1792 coincides with Lieutenant Governor Simcoe’s appeal to Americans to come and settle on free land in Upper Canada. Two of George’s sons were named David and Augustus. It’s very tempting to connect George to Porter descendants of a Connecticut family where the same forenames occur. Tempting, but George does not seem to slot nicely into that family’s framework. This, despite the fact that an Augustus Porter was his contemporary, a surveyor who worked for the Holland Land Company at one time, and became a prosperous pioneer along the American side of the Niagara River. 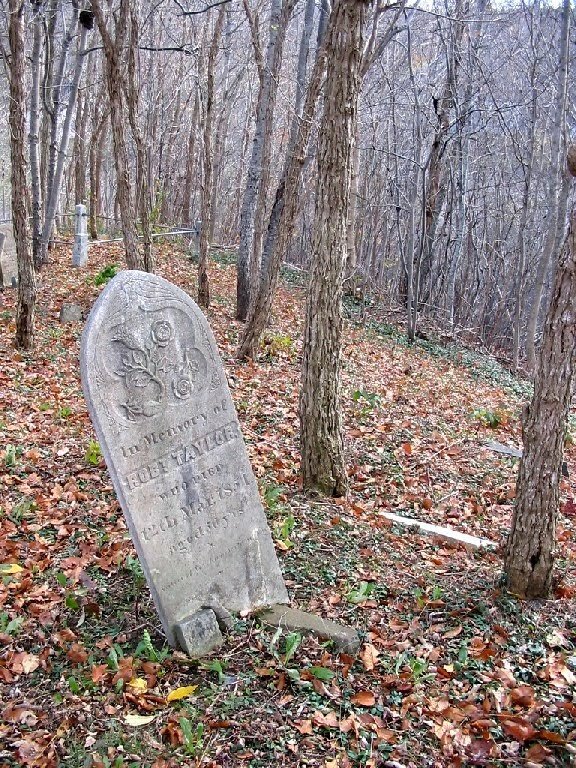 When George disappeared by 1800 from the town of York (and everywhere else inasmuch as current searching ascertains), he left a wife and three surviving children. There’s a good deal of mystery about the wife/widow which is a whole ’nother story. The Porter children are largely unaccounted for until they began marrying in York from 1816 onward. To the point here (click to enlarge). George Porter petition, Correspondence of the Civil Secretary (Upper Canada Sundries), RG 5, A 1, pp. 7871-7872; Library and Archives Canada microfilm C-4543. The signatures on the left were made by our George Porter on his various land petitions at Newark or York. The signature on the right was made by a man who “appeared” in the London District, fourteen years after George disappeared. Could George in 1814 be the same man? I’m conflicted. Tell me what you think about the signatures. I might be happy if the consensus is NO—George remains lost and I have only the wife/widow problem to deal with. I might be happier if the consensus is YES—but the mystery would only deepen. The context for the man of 1814 does him little credit. He was in jail for illegal possession of cattle and horses, taken from some Indians during General Procter’s 1813 retreat from the invading Americans. It was all a misunderstanding, George said, and au contraire, he was saving the livestock from the enemy. He rambled on about the Indian who “gave” him the animals—a man who had deserted his family—how he, George, had been assisting impoverished Indians, how he could even reclaim some government cattle from among them, and would like to join the government’s Indian Department. George was doing his level best for a get-out-of-jail-free card. Despite the poor condition of the document, a few names were decipherable that looked like clues for further research. But his reference to the commander of the 26th regiment—to whom he had allegedly been recommended for a civilian job—was very strange. The 26th regiment was nowhere near Upper Canada during the War of 1812 from everything I can gather! Digging into abstruse records with potential genealogical value continues. The Upper Canada Sundries consist of correspondence received by the province’s Civil Secretary. One hopes to find outgoing correspondence relating to this case. If only the Archives of Ontario would find the missing papers of General Drummond, administrator of Upper Canada in that period! This case is not over yet. 2011 Note: I've no idea why this illustration disappeared from the blog for some time. It's been re-inserted 27 March 2011. 18 Yonge Street, Toronto; photograph BDM March 2010. 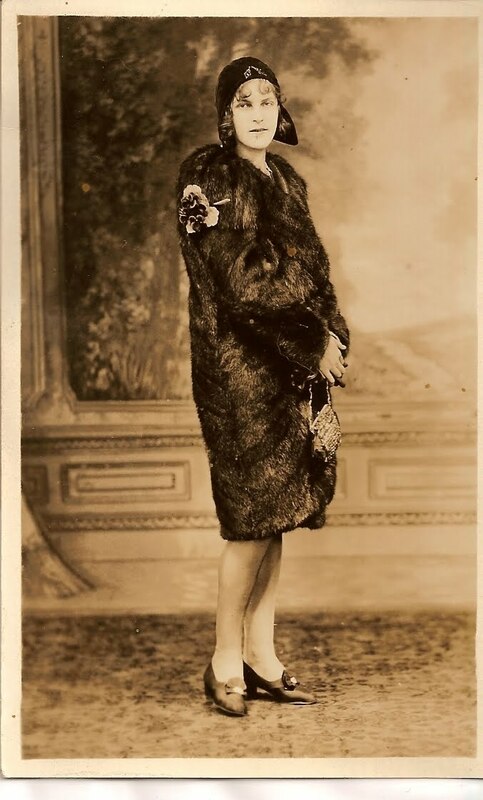 The 9th Edition Carnival of Canadian Genealogy features “Canadian Fashion Fads.” Hosted by Looking4Ancestors, all the entries will be presented after 16 April. Bet this will attract a ton of submissions. This post could have some appropriateness for Easter when it was customary to don a new bonnet to go to church and/or walk about town in expectation of fine weather. Any females amongst us remember fuzzy synthetic sweaters in the 1950s? Ancestors of today’s fleece tops? I was almost hysterical because my mother deemed them firetraps that could scorch me to death (honour thy parents won the day). Ditto the short-lived must-have very see-through sleazy nylon blouses. One had to have a wardrobe of slips for modesty’s sake with said short-lived fashion moment. Remember slips? Having to wear one so your skirt or dress wouldn’t cling? ... youngsters now shaking their puzzled heads at life before the great jeans revolution. Instead I feel much more inclined to highlight a more bygone era which produced fashion substantial enough for the occasional modern lapse into retro nostalgia. When girls wore GIRL things. When some of them had mothers who made their clothes and had to suffer wearing them. 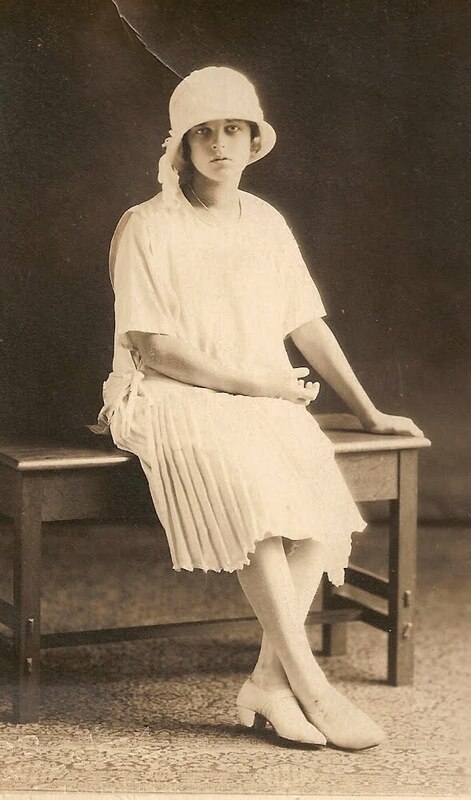 My mother posed for this ca.1925 so all the relatives back in Europe could admire the couture. I can’t say how Canadian it was, what with maternal grandmother probably sewing her fingers to the bone over her imported fashion magazines. Somehow I sense that Mom might have had hysterics at the thought of wearing this to where? School? Check the cool shoes. Where on earth did they come from? Not Thunder Bay. This must have been a little later. The teenager posed for another demonstration of the good life in Canada. Despite the solemn pose, you can see the flapper era beginning with all the influences it spread. Fab hat! Grandma was really knocking herself out. Mom in the 1930s (the overseas relatives are insatiable). I try hard to imagine what that coat was made of. And hey, is that a precursor on her head of the trapper’s hat popular today? Nevertheless, I think this girl just wants to go places and have fun. Fast forward to matron status. I just had to show this. Taken by a street photographer in Vancouver, 1940s. Remember street photographers? It must have been windy. Otherwise that would have been a very strange hat. But get a load of the furs. A load of foxes. Where are they now? I could use a few to stop the drafts in my window. Anyone recognize the Vancouver street? So ends a little venture into Canadian fashion of one era. Until I can find some of those 50s and 60s amusements. Almost makes me yearn for the days of dressing up to go to balls. You supported those events because they were good causes and you did glamour. Now we mostly get glamour vicariously from celebrity watching.